Renault Captur Performance, Engine, Ride, Handling | What Car? Despite having an all-turbocharged engine range, the Captur isn’t blessed with particularly strong performance. The entry-level 0.9-litre three-cylinder petrol comes with a five-speed manual gearbox, while the 1.2-litre four-cylinder petrol has the choice of a six-speed manual or six-speed automatic ’box. There are also two 1.5-litre diesels with either 89bhp or 108bhp; these are manual only. The 0.9 feels nippy and is ideal for use around town. When fitted with the automatic gearbox, the 1.2 is a bit hesitant, but the manual version is much smoother and offers better performance than the 0.9 – albeit it at a higher price. The lower-powered 1.5 diesel feels lively enough around town, if underpowered on faster roads. 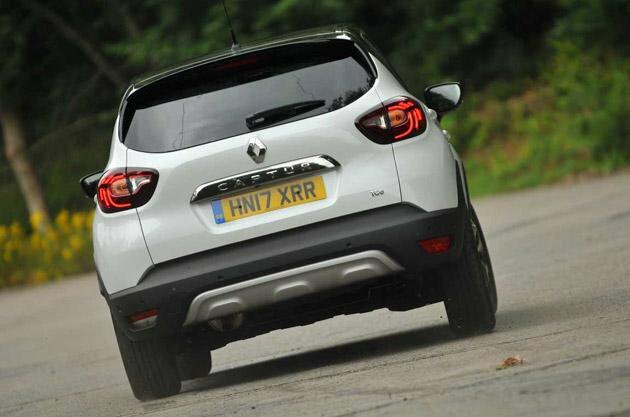 None of the Captur models is fast; in fact, most are slow even by the standards of the class. The Suzuki Vitara and Nissan Juke are available with far more power, for instance. Braking performance is perfectly decent, although you have to get used to how sharp the initial pedal bite is. The Captur’s soft suspension is good at soaking up bigger bumps and potholes at low speeds. Even on dodgy UK roads, it’s generally one of the most comfortable urban runabouts in this class, despite the odd heavy thunk over sharp-edged intrusions. It’s less ideal at higher speeds, when undulating surfaces or eroded asphalt can make it feel unsettled. Keep to reasonably smooth motorways and it’s a relaxed cruiser. 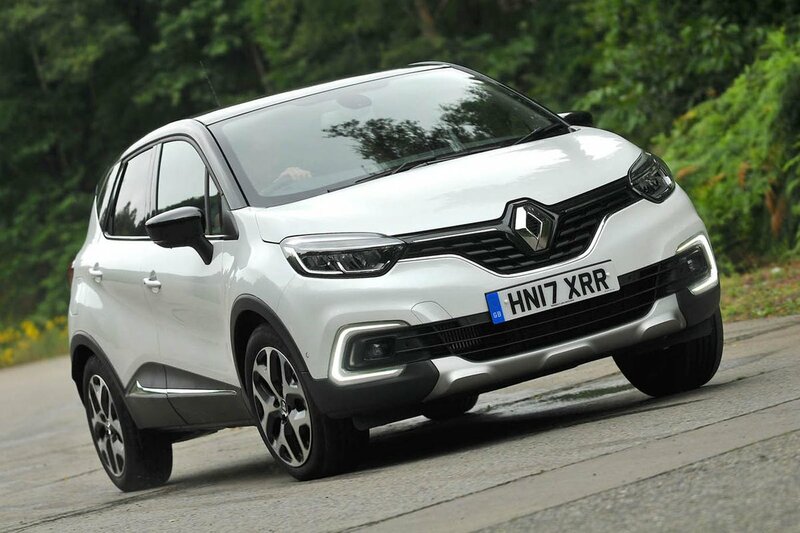 The Captur is based on the Renault Clio, which shows in its hatchback-like handling. 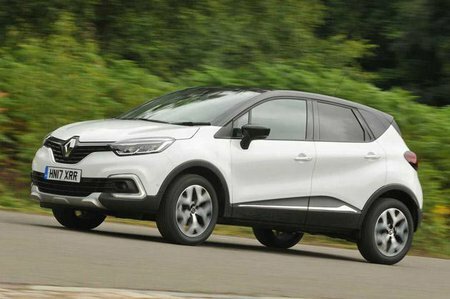 Despite the raised ride height, which gives the car the look of a baby SUV, the Captur feels pretty nimble yet predictable through corners. Body lean is noticeable but never alarming and there’s plenty of grip. The steering can feel vague, but it responds predictably enough to give you sufficient confidence, even in brisk cornering. If you want more fun in the twisty bits, we’d recommend looking at a Suzuki Vitara instead. Engine noise is well suppressed in all the petrol Capturs unless you rev them really hard, but the diesels can be a bit grumbly, particularly when accelerating. The noise does settle to an easily ignored drone at a motorway cruise, mind you. The gearshift is a tad rubbery, but it’s easy to find the gear you want and the throw is quite short. The automatic ’box is slow-shifting enough to cause a noticeable pause in forward momentum, so we’d avoid it unless you absolutely need a self-shifter. Wind and road noise are a distant drone at high speeds, and are more than acceptable for a small car.